Lock in a great price for Pousada Vila do Dengo – rated 9.3 by recent guests! The staff is awesome! Everybody ready to help you with anything. I´ve traveled with family with a 1.5 year baby and it was a great experience, although the pool isn´t isolated from the rest of the place, and it could be a risk with recent-walking babies! The staff were really wonderful and went out of their way to make us comfortable. Loved the long lap swimming space. 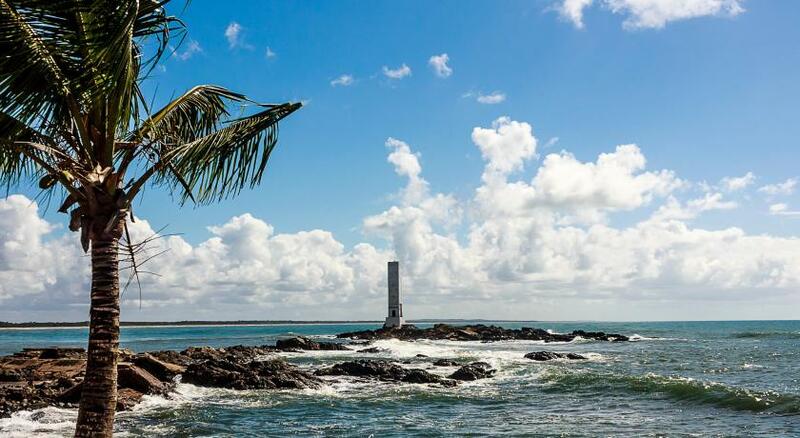 A Pousada Possui uma ótima estrutura, estando bem localizada na região da Pituba (próxima as principais praias) e ao mesmo tempo num lugar tranquilo e silencioso. Le personnel est très sympathique et avenant. J‘ai eu toutes les réponses à mes questions. Une personne parle anglais. Excelente a estadia, otimo atendimento e profissionais solícitos. Apto super limpo, cheiroso, cama macia, lençóis macios, ar condicionado silencioso. Café da manhã maravilhoso. Todo dia tinha bolos diferentes e super gostosos, ovos mexidos, fritos, omelete, frutas, sucos e vários tipos de pães. Pousada bem perto da rua principal e perto das praias. O café da manhã é excelente, bastante variedade e muito saboroso. Funcionários muito atenciosos e disponíveis. Os quartos são confortáveis e espaçosos. Adorei! Do cuidado,Do atendimento principalmente das moças do café. Muito obrigado pelo zelo e cuidado com hotel é a 4 vez e sempre melhorando. 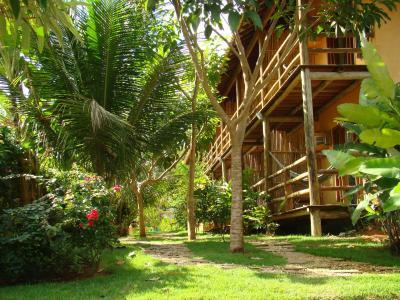 One of our top picks in Itacaré.Combining adventure with relaxation, integrated in the tropical environment, 1,650 feet from Itacaré Beach, this hotel offers accommodations with balcony. It features an outdoor swimming pool and free Wi-Fi. Rooms at Pousada Vila do Dengo are modern and colorful decorated. They are air conditioned and feature a cable TV with DVD player. Vila do Dengo´s wellness facilities include a hot tub and a sauna. Guests can play a game of squash or simply relax on the sun terrace by the pool. For adventure, rafting trips can be done at the Contas River, and many different hiking trails in the area are offered, including visits to waterfalls. 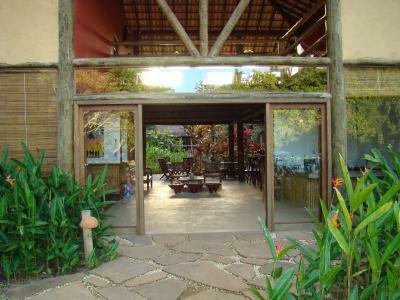 Pousada Vila do Dengo is located 800 feet from the main road where guests can find a local market. Free parking is available. 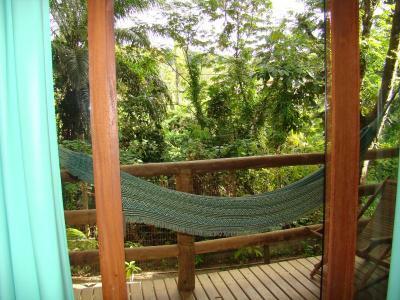 When would you like to stay at Pousada Vila do Dengo? Featuring a balcony and a garden view, this room contains a cable TV, a DVD player and a lap top safe. This room is located on a higher floor, offering panoramic views. Featuring a balcony and a garden view, this room contains a 32-inch flat-screen TV with cable channels, a DVD player and a lap top safe. Air conditioning is available. House Rules Pousada Vila do Dengo takes special requests – add in the next step! Pousada Vila do Dengo accepts these cards and reserves the right to temporarily hold an amount prior to arrival. We booked the standard room, and it was a little drab. But doable. They were under maintenance of the sauna facilities, and sometimes the noise of the construction was a little annoying. But again, we were with a baby, and they started working while there were almost no one at the place. Street with no pavement to access the hotel. Lots of rain and mud. Not enough parking lot if you get late you have to park in the other side of the street and with rain you have to cross some mud.